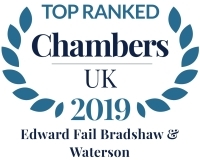 Adeela joined Edward Fail, Bradshaw and Waterson in February 2017. She qualified as a solicitor and attained duty solicitor status in 2009, having trained at a respected North London firm. Over the years, Adeela has gained wide experience dealing with all types of criminal cases including the most serious offences such as murder, drugs supply, fraud and serious sexual offences. Adeela has particular expertise in public order offences ranging from representing clients accused of large scale disorder to threatening behaviour and disorderly conduct. Past successes include the acquittals of defendants accused of violent disorder and criminal damage during the London riots, anti–gentrification protesters accused of criminal damage and violent disorder and anti–arms trade protesters charged with obstructing the highway . She is also skilled at persuading courts to pass lenient sentences particularly where defendants’ actions have been politically motivated . Adeela is regularly instructed to defend clients charged with offences against the police and often secures acquittals by persuading the court that police actions were unlawful. This involves careful analysis of the evidence and complex legal submissions being made to the court. She has detailed knowledge of police powers in relation to stop and search, use of force and entering premises. Adeela has been recommended by Netpol (The Network for Police Monitoring) as a top solicitor in this field. Adeela has a keen interest in acting for clients charged with squatting in residential premises, where, on a number of occasions, she has argued that the premises should not be defined “residential”. These have resulted in clients being found not guilty or the prosecution agreeing to discontinue the case after evidence has been obtained to demonstrate that the premises is not, in fact, residential. She has also defended clients accused of offences arising out of squat evictions where submissions have been made that the police and bailiffs were acting unlawfully and, therefore, the actions of the defendants were justified. Above all, Adeela is known for being a tactical and robust advocate who takes a pro-active approach to case preparation and is strongly motivated to achieve the best outcome possible for all her clients.